If you have lost a tooth due to trauma or chipped your tooth while eating, your dentist needs to be the first person you call when a dental emergency occurs. Many dentists set aside time specifically for dental emergencies, which means it is important to keep their after hours contact information with you at all times. Because you never know when a dental emergency might occur, the best step is to be prepared. Whether you’re at home or traveling, visiting the dental within 30 minutes or less can make all the difference in preventing further loss or damage. 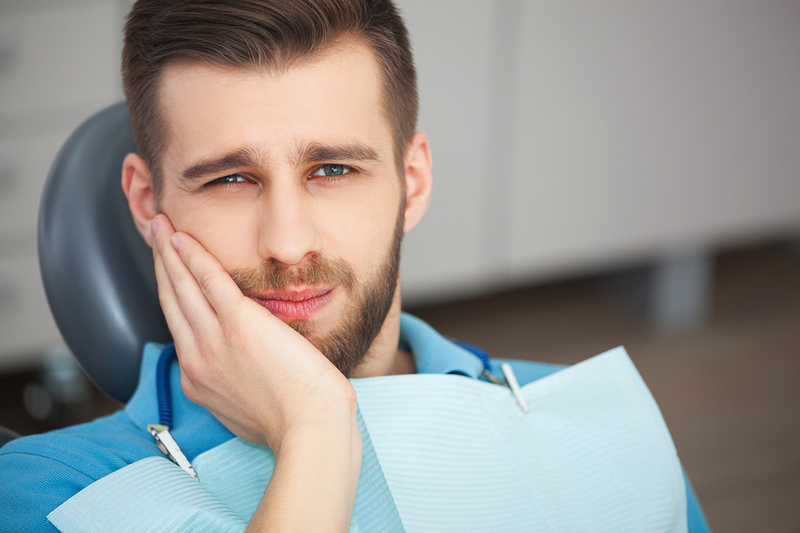 Let’s take a look at a couple dental emergencies and what to do if they happen to you. If your tooth gets knocked out, it’s a dental emergency that needs immediate attention. By following the appropriate emergency steps, you can increase the chances of your tooth being reinserted and preserved by your dentist. First, pick up your tooth by the top and do not touch the root. Next, gently rinse off your tooth to ensure that it is clean, but do not scrub your tooth or remove any tissue attached to it. When rinsing off your tooth, it is important to place a towel or washcloth in the sink so the tooth does not go down the drain. If you can, try to gently place the tooth back into the socket and hold it gently in place while trying to bite down. If the tooth is unable to be placed back into the socket, put it in a small container or in a cup of milk and call your dentist immediately. The longer you wait to re-implant your tooth, the less chance you will have of the tooth being able to be reinserted. If you crack, chip or fracture a tooth, this is a serious dental emergency and might suggest the damage occurred to both the inside and outside of the tooth. When the fracture is severe, your tooth may not be able to be saved. Apply a cold compress to the area to minimize swelling if caused by facial trauma,. Take pain medicine as directed by your dentist to alleviate pain. Never apply a painkiller to your gums because it can burn the tissue. An x-ray will be needed in order for your dentist to properly diagnose the condition of your tooth and begin treatment. If your tooth cannot be saved, your dentist will recommend alternatives for replacement such as dental implants or a bridge. Sometimes dental problems don’t signify a dental emergency, so understanding when is important. Smoothing a chipped tooth, re-cementing a crown that is not causing pain or composite bonding to repair a tooth is not considered a dental emergency. Instead, these can be treated during your dentist’s regular hours. Is there swelling in your mouth or face? Are there any bulges, swelling or knots on your gums? If you answered yes to any of the above questions, then you may be experiencing a dental emergency and should call your dentist immediately. Act fast and know how to handle a dental emergency.